Easy decor ideas are great because they keep our lives simple yet stylish. You might think you don’t have much of an imagination for design but when you look around your apartment and think of a new clever idea – that is your creative nature at work. So let your creativity flow by turning ordinary materials into easy decor items for your home. We’ve curated a few ideas and examples that are easy to make yourself to enhance the design of your luxurious apartment. 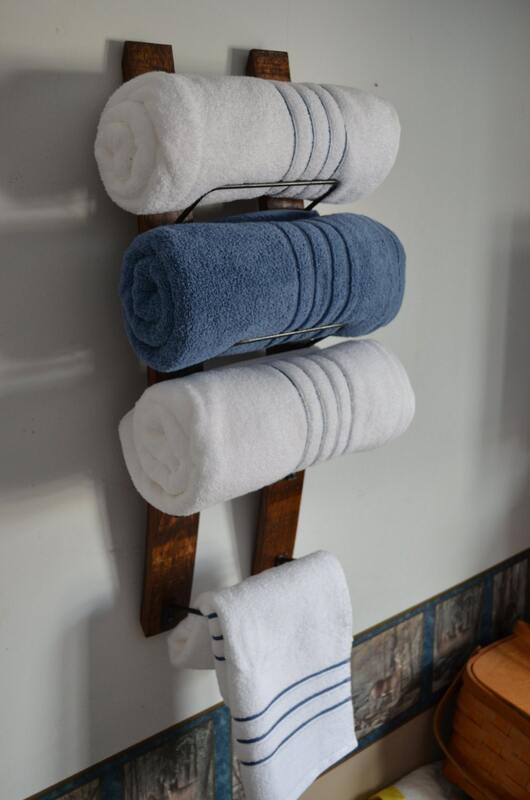 For an easy decor project in your bathroom, secure a wine rack to the wall, roll your towels, and place them where the bottles would go. This is sure to spice up the decor of your modern apartment home. We love this unusual rustic-style rack made from reclaimed wine barrels. These space-saving spice holders are easy to make and will give you direct access to your spices without digging through a cabinet. 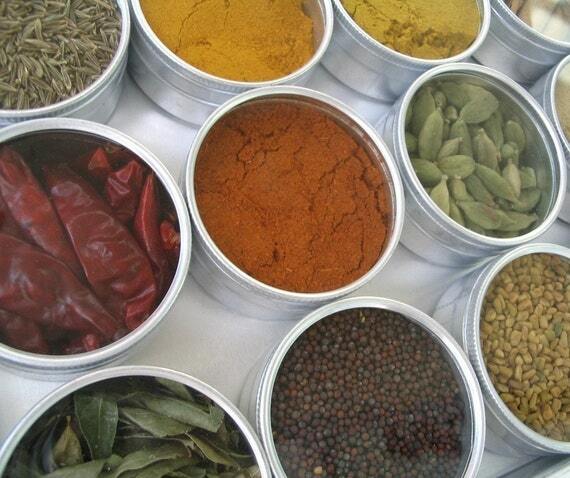 Simply buy round, clear-top tins and affix one or two magnets to the back of them. Fill them with spice, write the spice name on the back in marker or on a piece of tape, and you’ve got a hanging, easy-to-reach, stylish spice rack. Why not repurpose your favorite olive oil decanter and use it as an attractive soap dispenser in your kitchen to replace the usual plastic bottle? 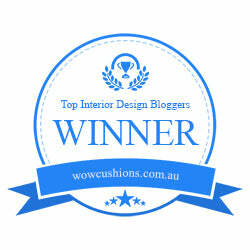 This is an upscale solution for an easy decor improvement. This is a project with many possible alternatives. 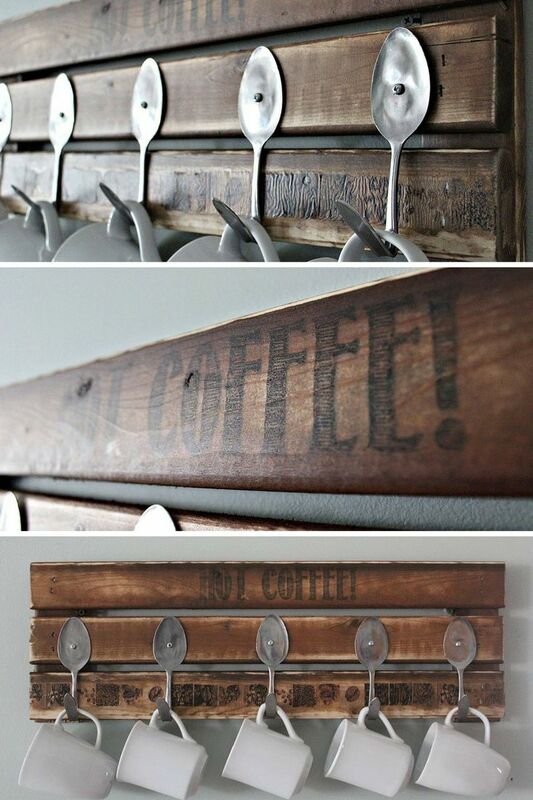 However, one easy decor idea is to buy rails and hooks and hang them at your coffee station. Another suggestion is to be more imaginative and use a small pallet, hooks, and screws or in this case, ordinary spoons transformed into hooks. Crates are used for many DIY projects including shelves, TV stands, coffee tables, and more. With a little ingenuity, a few screws, some wood stain, and glue, you will have a new and easy decor accent in no time. We hope you’ve found some inspiration for your next easy decor project. Remember, designing quick and easy accents for your decor is something to be enjoyed while you surround yourself with the wonderful energy of creativity.